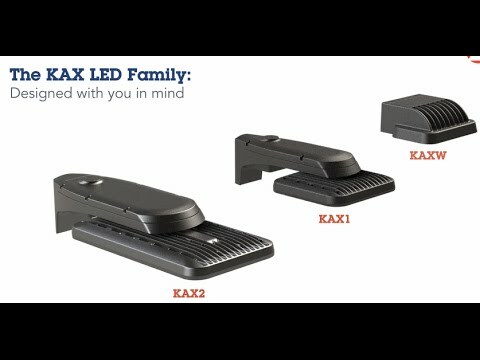 The KAX LED family from Lithonia Lighting was designed with you in mind. Universal mounting comes standard so that installation can be completed in just a few steps, whether for a new construction or retrofit application. The optics are specifically designed to maximize light in the desired area and are particularly useful in small to medium sized parking lots or lots requiring higher illuminance levels such as restaurants, banks, service stations, corporate offices and strip malls. Optics can be aimed through the use of field-rotatable optics and optional tilt arm. The KAX1 LED delivers up to 20,000 lumens which makes it ideal to replace up to 400W metal halide luminaires.